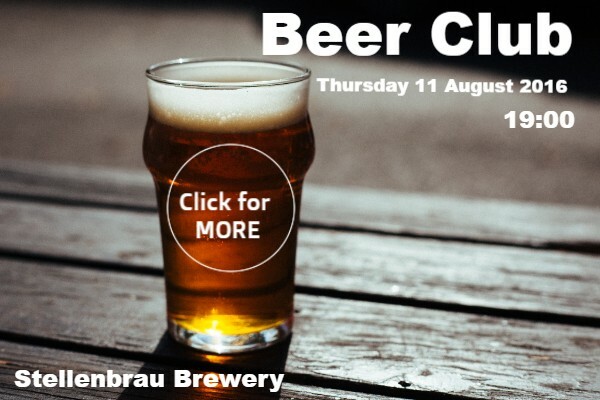 Saturday 8th September – Beer Club! Hosting Mad Giant Brewery. The gate on Cruden Rd will be closed on Wednesday and Thursday next week as a section of the parking is being resurfaced. Please use side gate on Link Rd. Many thanks to Tennis Section for their 50% contribution to the costs. Great thanks to Janet Dalton (Tennis) and her team from TAG Signage for the donation of our new welcome sign at the East Grounds. Janet can be contacted on 011 708 0028 for any signage requirements. Launches tomorrow night at 7pm! 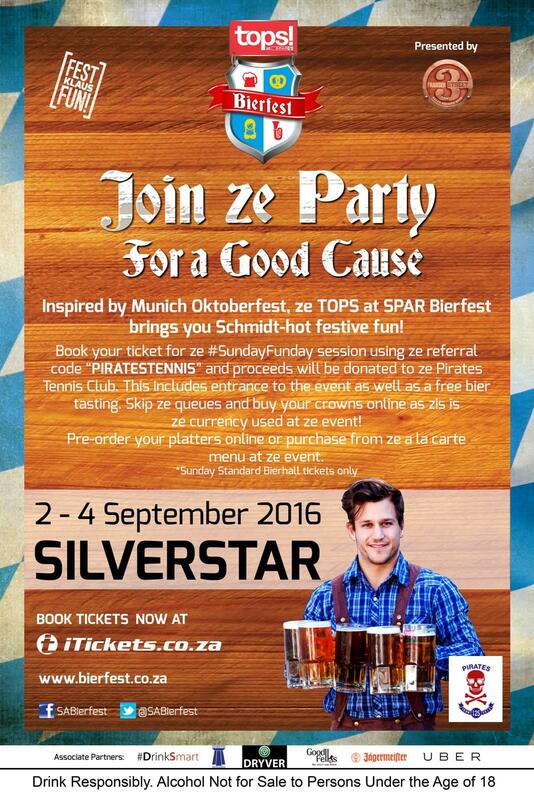 Tickets are R10 each and ticket sales close at 18:45. Weekly rollover draw for cash pot! Click the picture below to watch the video with more details. 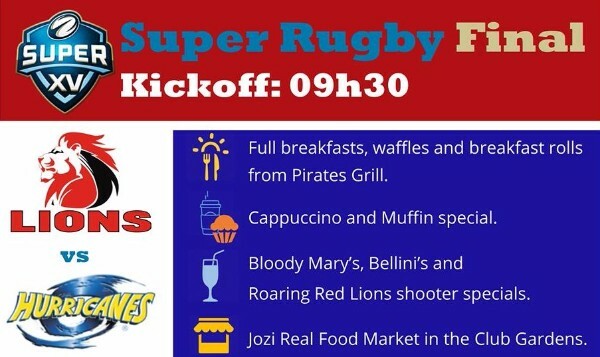 UK visiting student side The Imperials will be taking on Pirates u20&u19s combined at 15h30 on Sunday. 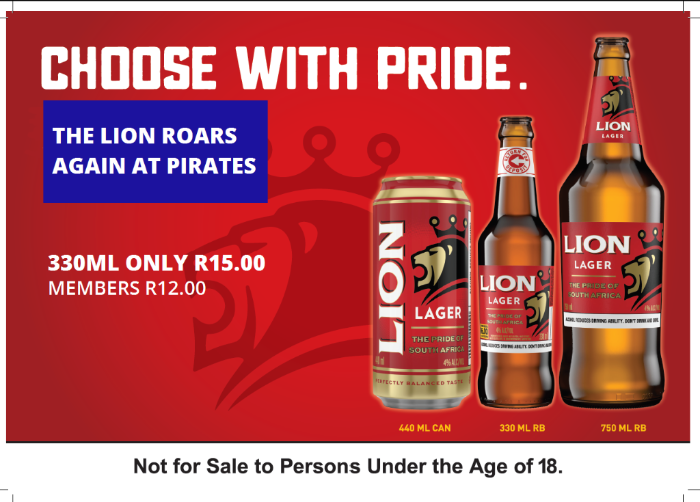 The Gold Cup also launches this Sunday with our opening home game against FNB Wanderers Windhoek on Saturday 10 September with another home game the following Saturday (17th) against Rhinos. Beer Pong next Saturday! Email Kyle, kyle.batchelor@gmail.com for more info, details in poster below. 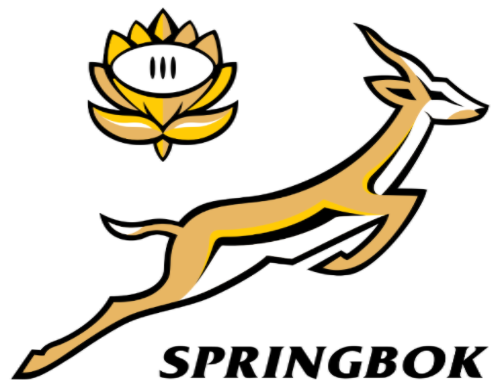 To both Olivia Jasriel (40s section) and Merryl Coaker (45s section) for their selection to represent Eastern Gauteng at the upcoming Inter Provincial Tournament in Port Elizabeth from 9 to 15 October 2016. To Johan Gouws, a member of our junior section, who represented Jan Celliers School recently in a school tournament in Bethlehem where the Jan Celliers team came 4th out of 50 schools! The Pot remains unclaimed and now sits at R5000! We played our first round match of the Ferndale Fours last Saturday . Sadly we lost during a most enjoyable game . 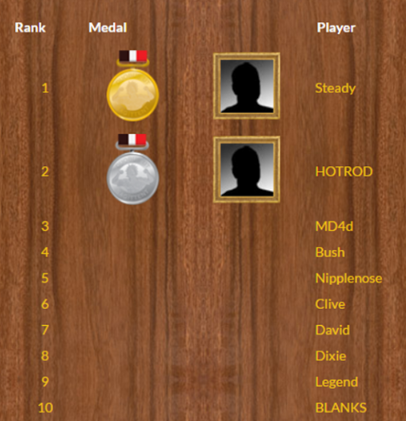 The tournament format is one point per end that you win plus four points for the overall win . We lost 16 – 9. Enjoy our famous burgers and baskets this weekend. Taco Expressions will be pulling in from 6pm serving Tacos and Bubble Tea for the Club Draw. 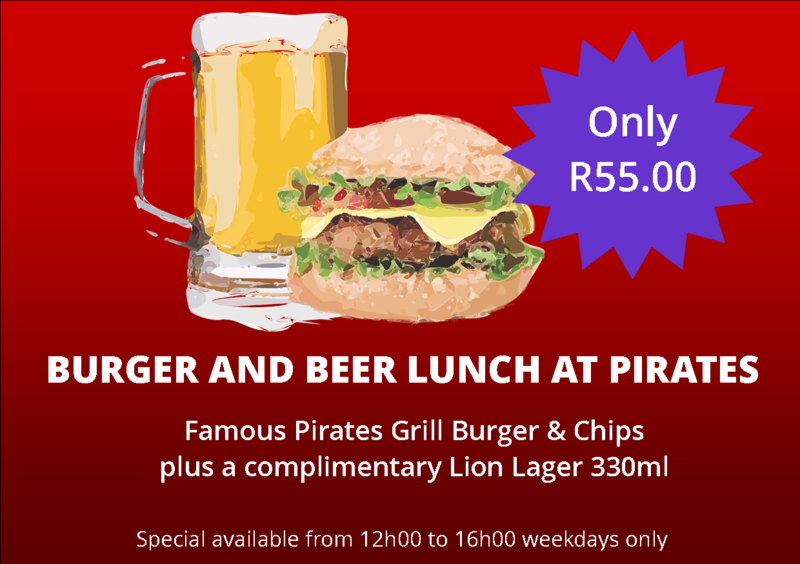 Check out Pirates GrillSpecials too below. Riddle me this: what costs R10 a ticket with the chance to win thousands? 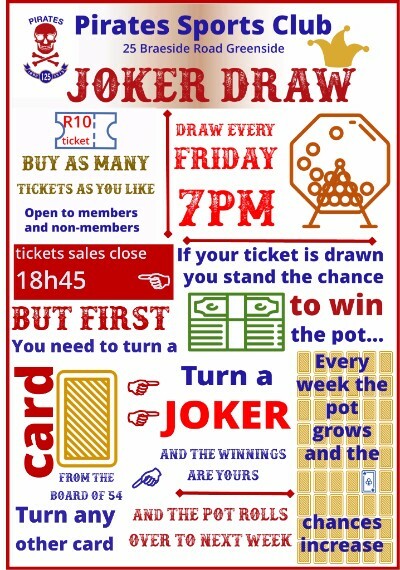 The Inaugural weekly Pirates Joker Draw on Friday 2 September of course! 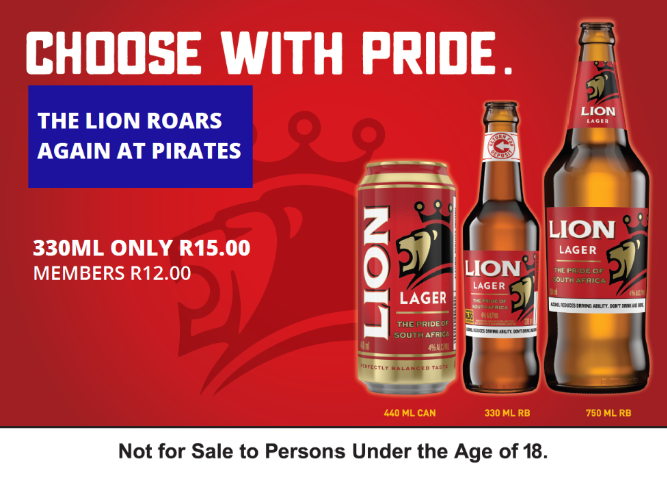 Gold Cup opening home game against Windhoek Wanderers at 15h30 on Saturday 10 September. 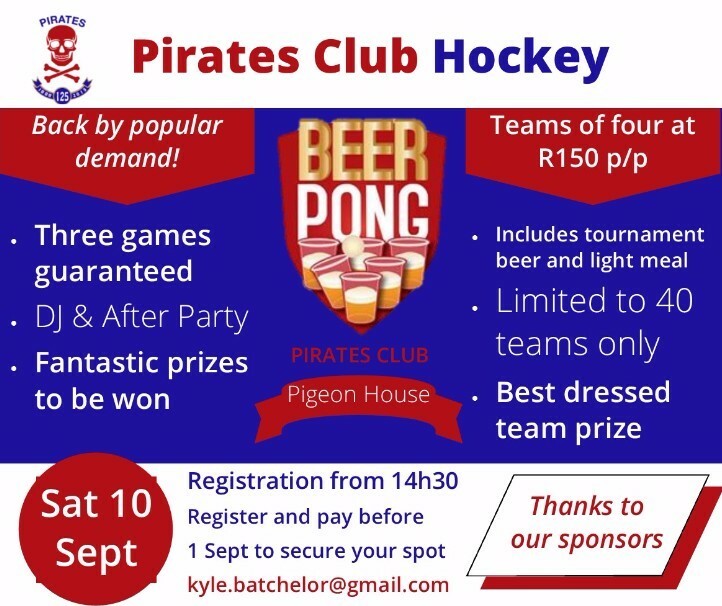 It’s almost Beer Pong time again… email Kyle,kyle.batchelor@gmail.com for more info, details in poster below! 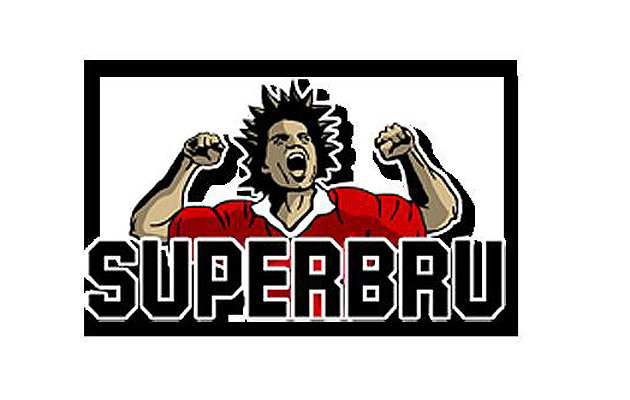 Registration on Saturday from 09h00. 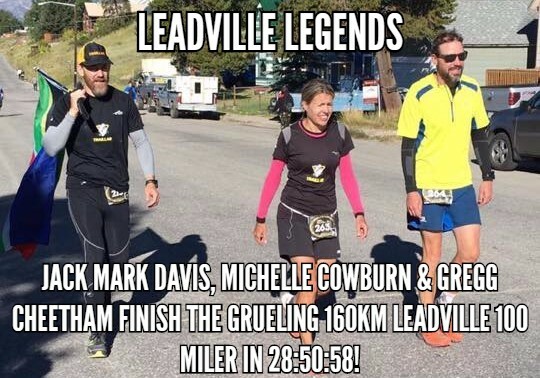 Saturday 28 August – Wanderers 10/21km road race. Late entries available from Wanderers on Saturday. 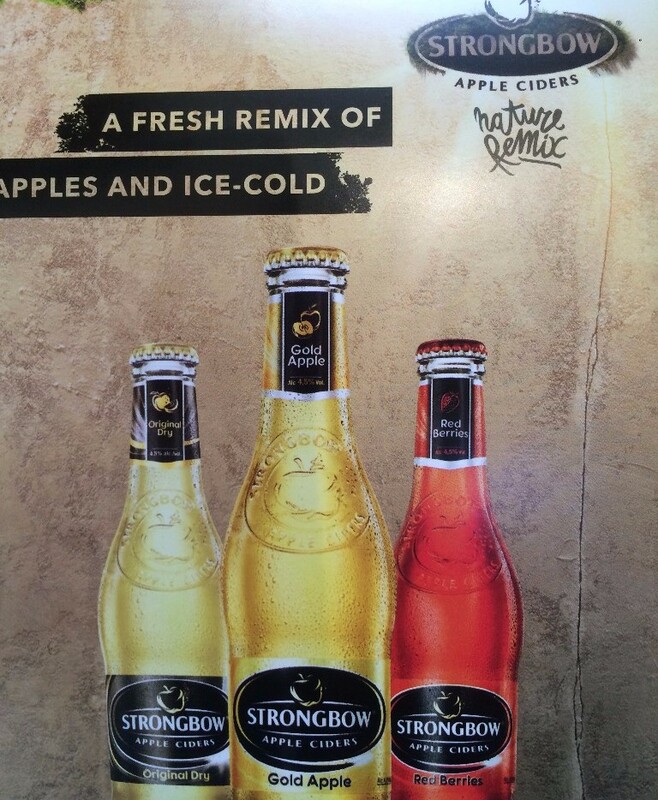 Craft cider tasting from 18h00 on Friday! 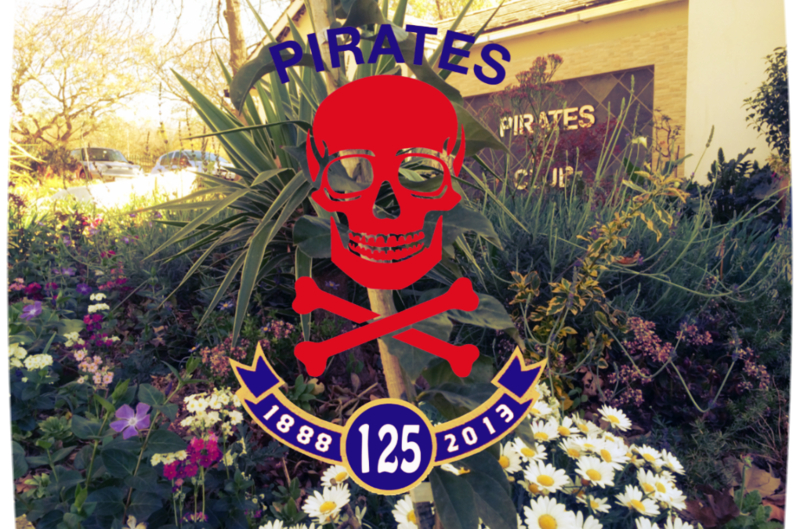 Pirates 1st XV Rugby are playing in their first Grand Challenge Final since 2002. 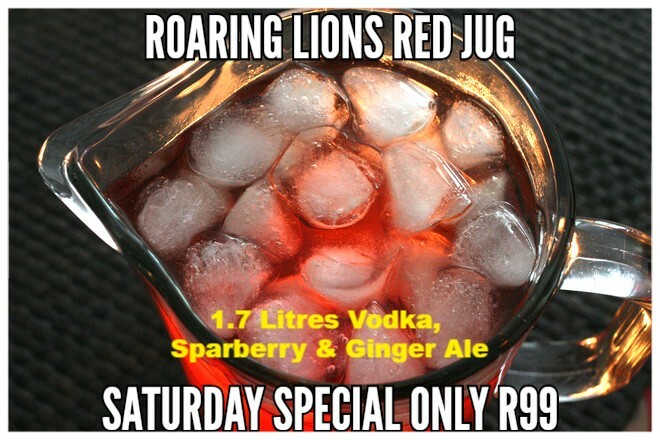 Come to Wits wearing your red and blue, they’d really appreciate your support. There is also hockey, junior football (fixtures below) and junior rugby games this weekend. Not to forget Olympics all weekend. The Bowls Challenge is in full swing but its not too late to join! A reminder that our AGM is next Sunday (21 August) at 10h00. Congrats to Caitlin Bauristhene and Matthew Smith representing Pirates at 2016 South African Masters Hockey Tournament in East London. 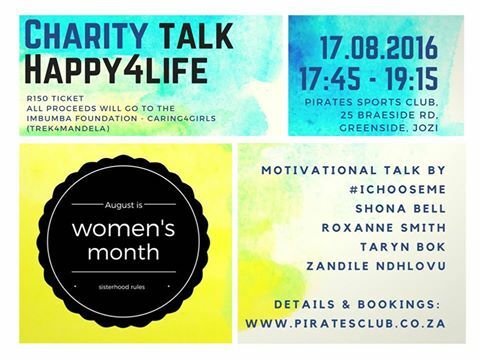 Pirates Grand Challenge FINAL vs UJ at Wits A Field this Saturday! Please join us for a fun-filled ‘Beat the Parents‘ social tennis day on 18 September. It’s the Arthrochoice 21/10km in Midrand this Sunday and Wanderers 21/10km next Sunday – Catch up on all running news for August HERE if you missed it. 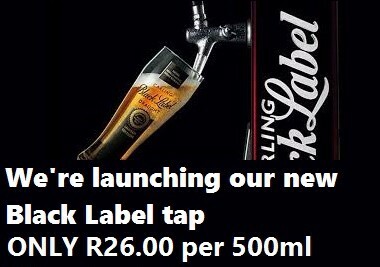 We are welcoming our new Black Label Tap with an opening special! The Summer Olympics officially open in Rio early on Saturday morning. Catch your favourite games at the club. 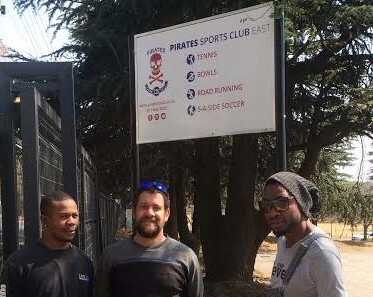 James Storey claimed five goals in the Pirates Men A 10-0 win over Wits this weekend! 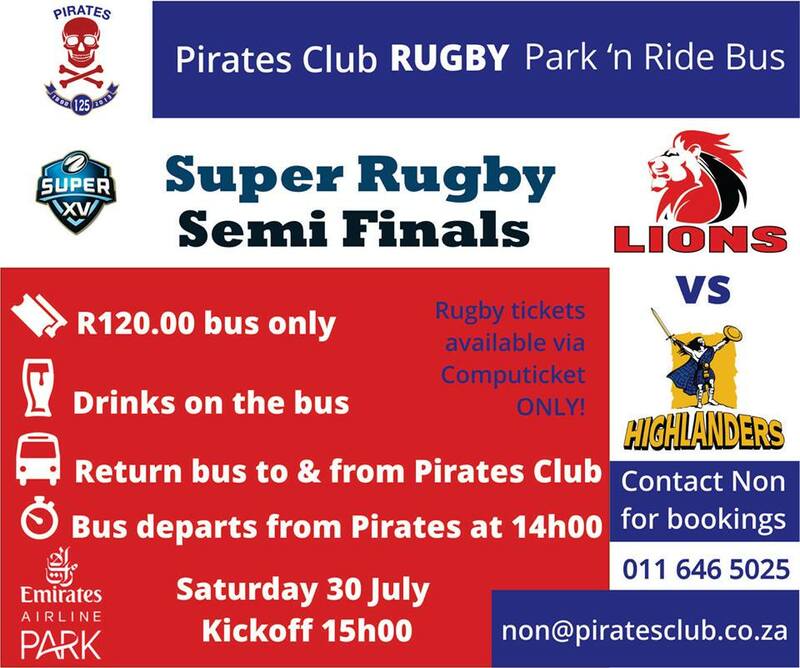 Pirates Grand Challenge 1st XV semi-final vs Raiders at UJ Milo Park this Saturday! Love it? Hate it? Let us know what you think of our new newsletter below. 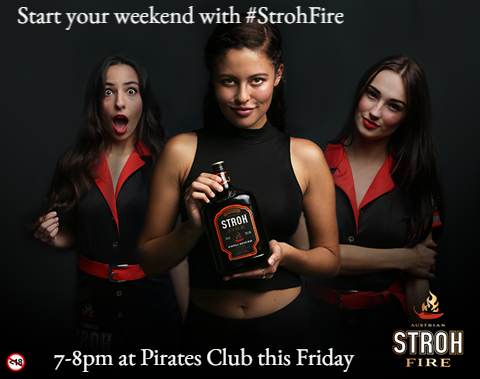 It’s Club Draw tomorrow night with the pot now at R4000! Don’t miss out. Pop into the Jozi Real Food Market on Saturday and the inaugural Vegan Hippie Connection Market on Sunday for fresh fair and gooodies. The Tennis Section will be hosting the last in the series of the International Tennis Tournaments (ITT) on Sunday 31 July 2016. This is the mixed doubles event. Play will begin at 0800 hours until about 1400 hours. It will be a morning of competitive mixed doubles tennis with couples coming from various clubs in the Gauteng region, representing a variety of countries. Come and support three Pirates couples representing Holland. If you want to get into the spirit of things wear something Orange for Holland! There will be hot drinks for sale and the tennis bar will be open. 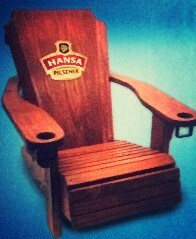 The first team enjoyed a thunderous 32-22 victory over Pukke on a stormy Tuesday eve..
Like this deckchair? Stand to win 1 of 12. 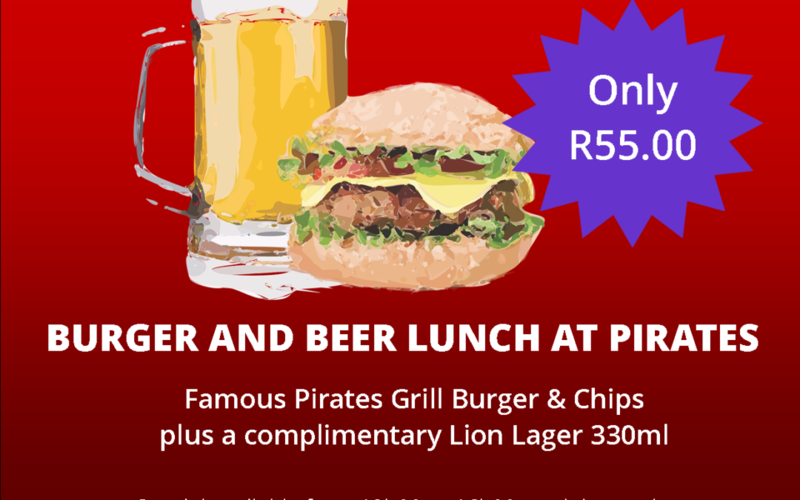 Buy a 500ml Hansa Pilsener Draft and get your loyalty card from the bar for more details! 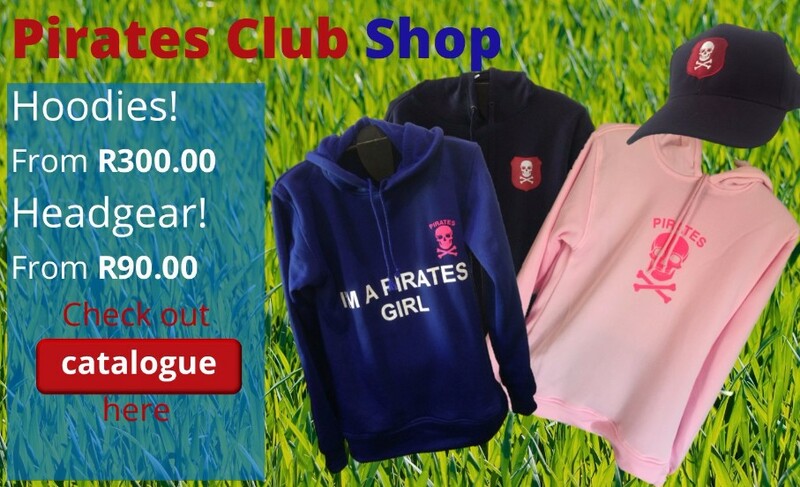 You can help out your Club by shopping at Woolworths and simply filling out a MySchool | MyVillage | MyPlanet form with Pirates Sports Club as the beneficiary. 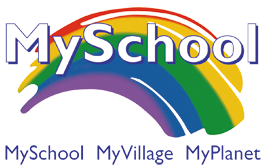 Join online at www.myschool.co.za or fill out a form at your local Woolies or at the main bar. 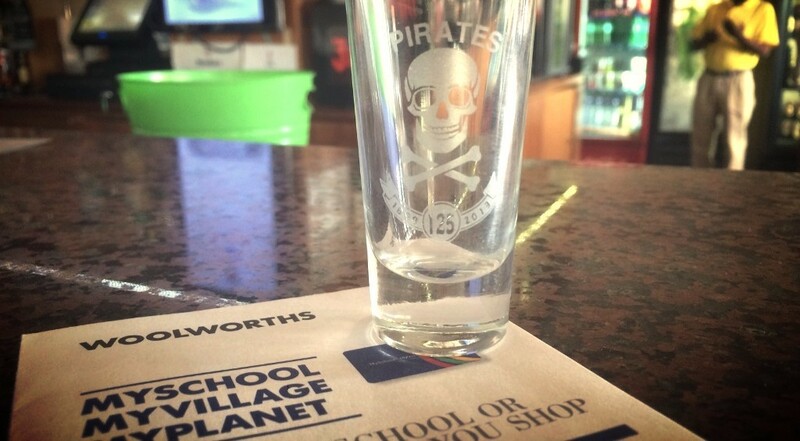 Hand in the completed form at the Bar and score a Pirates shotglass! 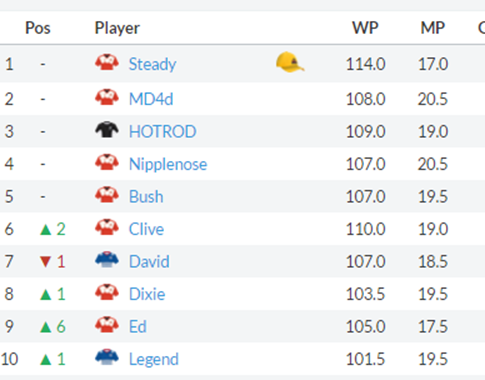 The top five remain unchanged but Clive climbs to six and Ed gains six points to enter the top ten.